Find cheap accommodation in Wellington City Central. New Zealand’s capital city is an absolute must on any backpacker’s must-visit list! 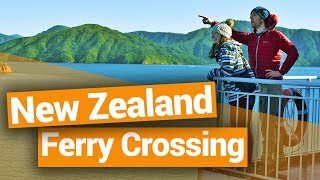 When taking the ferry to and from the South Island, take the time to discover the cultural city full of art and entertainment. 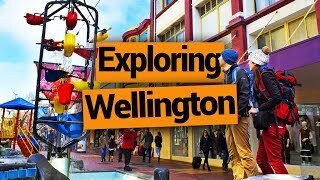 Whether you’re here for a quick city visit or looking to work in New Zealand’s “cool little capital”, you’re going to need to find cheap accommodation in Wellington City Central. Because Wellington is a pretty huge city, we have put together a quick list of the inner city suburbs where you are likely to find some cheap accommodation, as well as outlining how far away they are from Wellington’s city centre. (For accommodation in the Wellington region, check out our Accommodation Guide to Wellington). This accommodation guide to Wellington is also split into accommodation types, so you can just skip straight to your preferred accommodation style! So find a place to stay in Wellington City using our nifty accommodation guide to Wellington City Central! WHICH Wellington SUBURB TO FIND ACCOMMODATION IN? There is accommodation found all over Wellington city. Here’s a quick rundown on what to expect in each Wellington suburb in relation to Wellington city centre. For the rest of Wellington’s outer suburbs and districts, read our Accommodation Guide to Wellington. Note: CBD refers to “Central Business District” i.e. Wellington’s city centre. For more information on getting around, check out Public Transport in Wellington. Wellington City Centre – Location: city centre, Distance from CBD: you’re in it. Average weekly rent for a room: NZ$215. Average hostel night: NZ$27-$33. Thronburn/Pipitea – Location: north of the city centre, Distance from CBD: 15min walk/9min drive. Average weekly rent for a room: NZ$220. 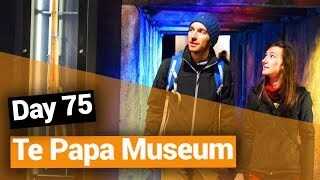 Average hostel night: NZ$27-29. Northland/Kelburn – Location: west of the city centre, Distance from CBD: 37min walk/13min drive. Average weekly rent for a room: NZ$190. Te Aro/Aro Valley/Highbury – Location: south of the city centre, Distance from CBD: 15min walk/7min drive. Average weekly rent for a room: NZ$200. Average hostel night: NZ$20-32. Oriental Bay/Mt Victoria – Location: southeast of the city centre, Distance from CBD: 20min walk/10min drive. Average weekly rent for a room: NZ$205. Average hostel night: NZ$50. Hataitai/Roseneath – Location: southeast of the city centre, Distance from CBD: 50min walk/12min drive. Average weekly rent for a room: NZ$195. Newtown/Mt Cook/Vogeltown – Location: southeast of the city centre, Distance from CBD: 45min walk/13min drive. Average weekly rent for a room: NZ$190. Brooklyn – Location: south of the city centre, Distance from CBD: 33min walk/11min drive. Average weekly rent for a room: NZ$170. Mornington/Kingston/Berhampore – Location: south of the city centre, Distance from CBD: 55min walk/15min drive. Average weekly rent for a room: NZ$185. Lyall Bay/Kilbirnie/Melrose – Location: south of the city centre, Distance from CBD: 1h05min walk/16min drive. Average weekly rent for a room: NZ$200. Island Bay/Southgate/Houghton Bay – Location: south of the city centre, Distance from CBD: 20min drive. Average weekly rent for a room: NZ$170. Rongotai/Strathmore Park/Moa Point/Breaker Bay – Location: south of the city centre, Distance from CBD: 25min drive. Average weekly rent for a room: NZ$210. Miramar/Seatoun/Karaks Bay/Maupuia – Location: southeast of the city centre, Distance from CBD: 25min drive. Average weekly rent for a room: NZ$200. Owhiro Bay – Location: southwest of the city centre, Distance from CBD: 25min drive. Average weekly rent for a room: NZ$190. Karori – Location: west of the city centre, Distance from CBD: 1h05min walk/ 15min drive. Average weekly rent for a room: NZ$160. Makara/Makara Beach – Location: west of the city centre, Distance from CBD: 25min drive. Average weekly rent for a room: NZ$170. Wilton/Crofton Downs/Wadestown/Kaiwharewhare – Location: north of the city centre, Distance from CBD: 16min drive. Average weekly rent for a room: NZ$170. Ngaio/Khandallah – Location: south of the city centre, Distance from CBD: 19min drive. Average weekly rent for a room: NZ$170. Ngauranga/Broadmeadows/Johnsonville/Newlands – Location: north of the city centre, Distance from CBD: 21min drive. Average weekly rent for a room: NZ$150. Woodridge/Paparangi/Grenda Village/Grenda North/Glenside/Churton Park – Location: north of the city centre, Distance from CBD: 20min drive. Average weekly rent for a room: NZ$160. Horokiwi/Takapu Valley/Tawa – Location: north of the city centre, Distance from CBD: 21min drive. Average weekly rent for a room: NZ$170. Ohariu – Location: northwest of the city centre, Distance from CBD: 23min drive. Average weekly rent for a room: NZ$180. There are 15+ hostels in the city centre and inner suburbs of Wellington, most of which can be found in the CBD, Te Aro and Pipitea – all within walking distance of the CBD. The cheapest hostel prices in Central Christchurch range from NZ$20-$50 per bed per night in a dorm room. 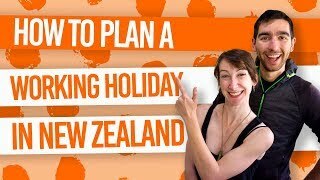 We always recommend to book your bed a week or two in advance in Wellington, especially in summer (the peak season in New Zealand) and especially for our favourite hostels in Wellington. You can always keep the cost of living down along with an extended stay by working for accommodation in an Auckland hostel. For tips, have a look at How to Find Work for Accommodation in New Zealand. Renting a room is common practice in Wellington to keep the price to minimum when staying in Wellington long-term, usually done if you have landed a job in Wellington as part of a working holiday. Expect a room to rent in Wellington City to be around NZ$190 per week. That’s a room to yourself in a flatshare or houseshare. You may find cheaper, around the NZ$160 per week mark, for a shared room. 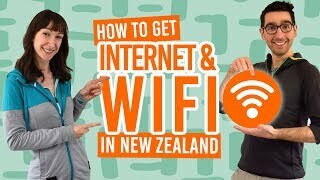 For advice on how to find a room to rent in Wellington, have a look at our 6 Resources to Find a Room to Rent in New Zealand. Renting a room involves a more complicated process than staying in short-term accommodation, so get clued up by reading The Paperwork Process of Renting or Flatting in New Zealand. Stay with a local in Wellington! AirBnB, the online network of people’s “spare rooms” available for accommodation, is super popular in Wellington. Plus, Wellington has a great selection of backpacker-price Airbnb rooms all over the city. Although the average room price is NZ$120 per night, there are plenty of NZ$15-42 rooms spread out around the city centre and the inner suburbs of Wellington. The city centre, Khandallah, Johnsonville, Northland, Pipitea, Mt Cook and Newtown are particular good for finding AirBnB rooms. We’ll help you toward your first Airbnb stay with this FREE NZ$50 credit. For more information on Airbnb, check out Everything You Need to Know About Airbnb in New Zealand and 10 Tips to Make the Most of Airbnb in New Zealand. While there are some options for campervans and self-contained vehicles in Wellington, there are no tent site options in Wellington city. For a full list of campsites and freedom camping spots, check out Where to Camp in Wellington. Capital Gateway Motor Inn in Johnsonville with powered sites starting at NZ$46 per night for two people. Cuba Street Motorhome Park in Wellington City Centre with powered sites starting at NZ$29 per night. Freedom camping for certified self-contained vehicles is permitted at the southern end of the Evans Bay Marina Carpark in Hataitai and the Te Kopahou Reserve entrance car park in Owhiro Bay. Find out more at 15 Free Camping Spots in Wellington. For information about camping, check out Camping in New Zealand and Accommodation Guide to Holiday Parks in New Zealand. Everything else you need to know about staying in Wellington.